I’ve given you ample time to make your list of chores you’d like to accomplish during a typical week. If you have made your list, get ready for the next part. You need to decide on which day you want each chore to be completed. An example I gave in my last post was this: We empty the garbage on Thursday because the garbage gets picked up on Friday. Do what makes sense for you, not for me or for your neighbor. This is usually what makes or breaks it for my kids. It’s easy for children to feel overwhelmed at what, to us, seems like a small thing. If one of the things on your list is clean the bathroom, break it down into smaller steps. This is what we do: Wednesday is the day the kids need to clean their bathroom downstairs. Each child is responsible for a certain task within that chore. 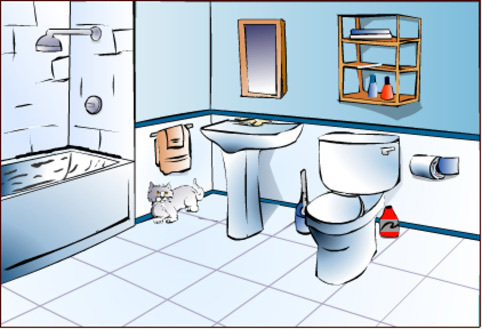 I have 4 children who are capable of cleaning, so we’ve divided up “clean the bathroom” into 4 separate tasks: 1. mirror; 2. sink; 3. toilet; 4. sweep/mop. Every week, it gets rotated so each child does a different task and, at the same time, learns to clean an entire bathroom. By the way, don’t think I’ve forgotten the tub. I have a magic solution for that one I’ll tell you about later. 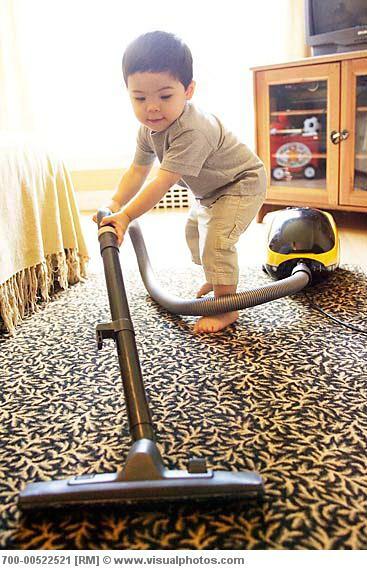 Another example: Monday the kids need to vacuum their bedroom floor. Well, the floor needs to be cleared of toys, clothes, etc. before it can be vacuumed. Three of my boys share a room right now so 2 of them clean up the floor and 1 of them vacuums. Then we rotate. Look at your list. What chores can be broken down into smaller steps? Even if you only have 1 child, you can still break it down. Have the child do part of the chore in the morning before school, the next part after school and the last part right before bed. Or, you can do it with your child and each of you take half the chore. There are lots of options here. Again, you need to do what works for you. Take some time here to really figure out what will work for your family. Play around with different ideas. Enlist your children and spouse to come up with ideas. If everyone has a say in it, it’s more likely that they’ll be on board with it. OK, that’s it for now. More to come! This entry was posted in Cleaning, Organizing and tagged bathroom, chores, cleaning, vacuuming. Bookmark the permalink.